Serving the greater Ft. Lauderdale Area, including Boca Raton, Coral Springs, Davie, Deerfield Beach, Downtown, East Fort Lauderdale, Hollywood, Las Olas, Plantation, Port Everglades, Sunrise, West Fort Lauderdale, Seven Isles, Harbor Beach, Rio Vista, Coral Ridge Estates, Victoria Park, Colee Hammock, Hallandale Beach, Wilton Manors, Sailboat Bend, Turtle Run, Coral Springs, Coconut Creek, Dania Beach, Pompano Beach, Deerfield Beach, and the entire surrounding area. Free Consultation & Design Estimates in and around Ft. Lauderdale, call 1-888-507-7960. Celebrity Greens Fort Lauderdale is the Authorized Dealer, Designer and Installer of Synthetic Turf Grass Lawns and Artificial Grass Putting Greens for the entire Southern Florida area. Celebrity Greens is the proven leader in national artificial lawns, and installs superior quality, long lasting and environmentally-friendly synthetic gras. 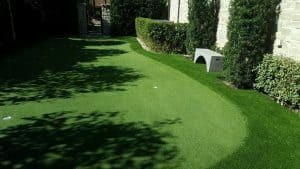 We and our partners have installed thousands of acres of artificial grass lawns and synthetic golf greens across the country and we have the quality workmanship, experience and synthetic turf products that you’re looking for. Offering the highest quality, long lasting, and environmentally friendly artificial turf products available! Celebrity Greens is partnered with the best manufacturers and international leaders in the artificial grass lawn industry. Our exclusive relationship allows us to offer you a large variety of synthetic grass products that meet the highest standard in artificial turf manufacture, longevity and durability – Our customers have peace of mind, a beautiful yard or putting green and we provide them with a manufacturer 8-year synthetic turf warranty. 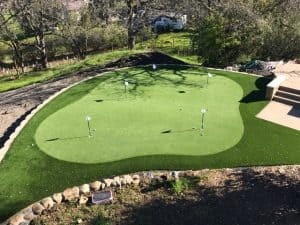 We install all sorts of sports surfaces, as well as padded playground surfaces, and we specialize in designing and installing the most advanced sand filled, synthetic grass putting greens available today. Our artificial golf greens can be installed indoors and outdoors. We offer a multitude of design features including sand traps, water hazards, custom lighting and many other amenities to excite the game of golf. 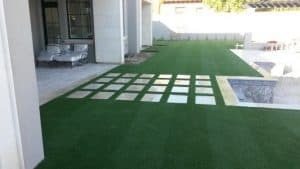 If you have a landscape project that involves synthetic turf and you want the best quality turf installed by the most capable, highly trained team of designers and installers, then you have come to the right place. Celebrity Greens of Fort Lauderdale offers complete landscaping services, and we are proud to offer products that require very low-maintenance while remaining lush and green through every season and all weather conditions. Contact Celebrity Greens Ft. Lauderdale, Florida today at 1-888-507-7960 for your free consultation!